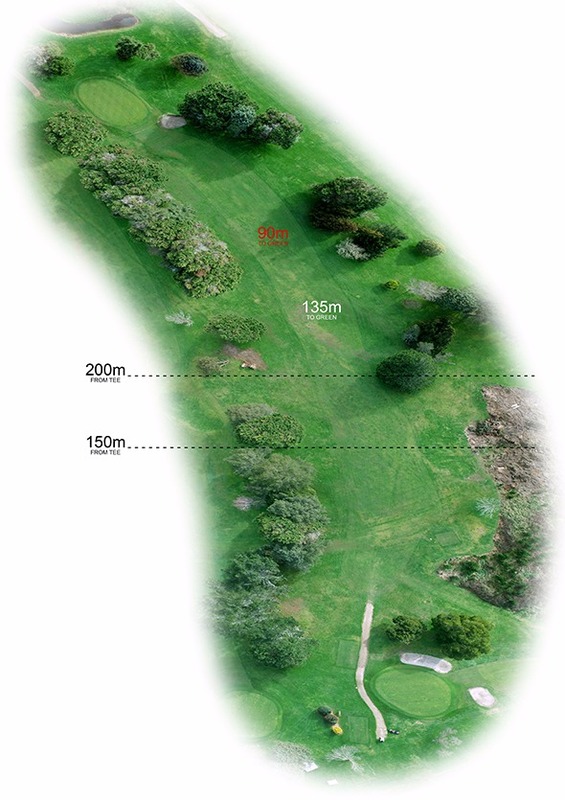 The hardest hole on the course, par 4 measuring 371 metres. A slight dog-leg right to left. 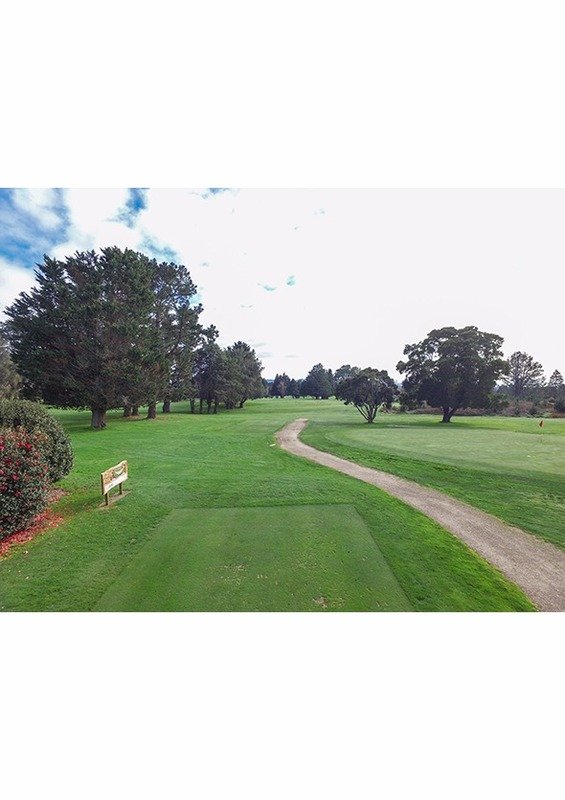 A downhill fairway, hazards on the right and a mature tree lined fairway to the left. It's a must to hit to the fairway. 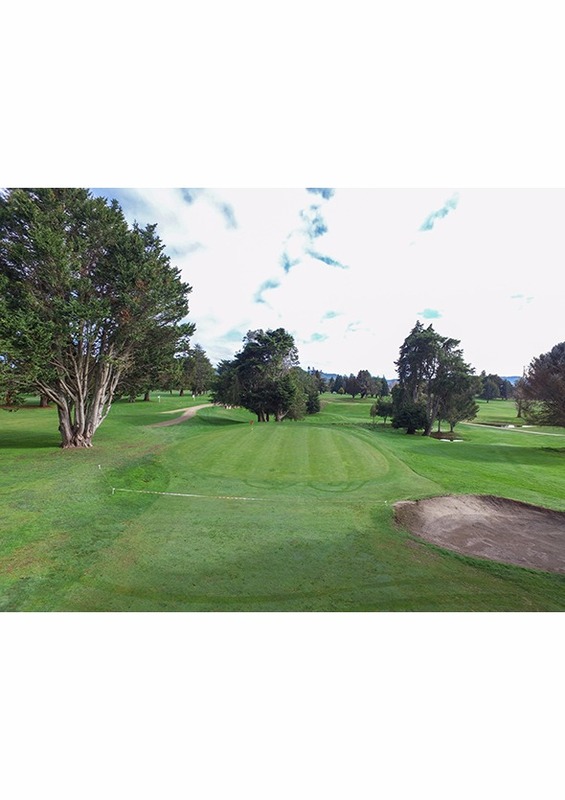 The green is guarded by a bunker, short of the green with severe slopes at the back and right side of the green.